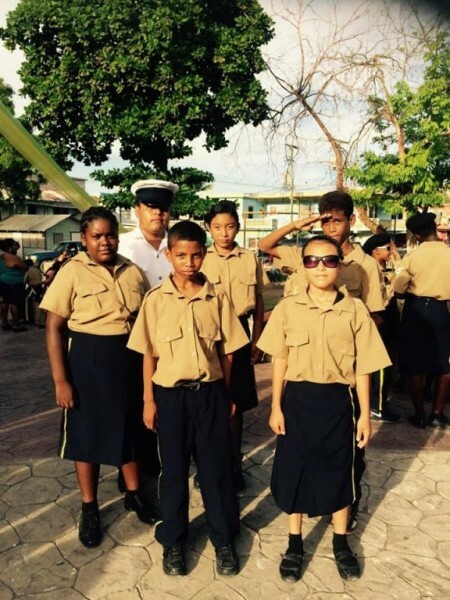 San Pedro Police Youth Cadet Corp members have returned to the island after attending the 19th National Youth Cadet Corp Summer Camp held in Trial Farm, Orange Walk District. The annual camp took place from July 9th to the 16th, under the theme ‘Be bold, be Strong, Survival, We are together, We can.’ Five local San Pedro cadets, accompanied by Police Constable Juan Choc from the Community Policing Unit and Woman Police Constable Arillee Young, joined cadets from around the country for some fun. According to Choc, the annual camp takes place in different parts of the country and serves as a good opportunity for the youngsters to interact with youth from around the country. “It also serves as a platform for our youth to get to know other cultures, while learning to appreciate and respect them,” said Choc. The five cadets from San Pedro Town were happy to participate in the activity and look forward for another camp next year. Zennon Anderson, Joey Everette, Ashley Garnett, Meberly Jimenez, and Lalvani Dominguez attended lectures on decision making and peer pressure as well as exercises in team building. They experienced field trips to the Lamanai archaeological site, and the Blue Creek Rice Mill. Besides foot drills, activities were dominated by sporting events. 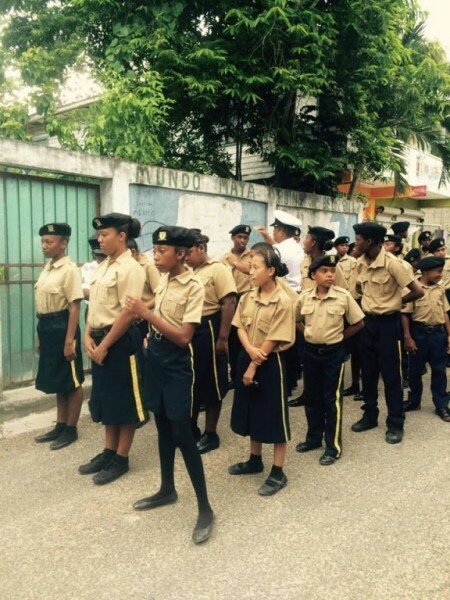 The competitions were by region, and the cadets from San Pedro fell under the Central Region in the Belize District. Some of the sporting events included football, volleyball, basketball, track and field and sack race. At the end of the sporting events, the group from San Pedro received a trophy for having the most wins in all of the different sports. The youngsters also enjoyed campfires and talent shows, with each group taking the opportunity to showcase their talents every night. The San Pedro Cadets received a certificate of participation in 19th National Youth Cadet Corp Summer Camp. They would like to thank the sponsors who made their participation possible: El Pescador Resort, Mahogany Bay Village, Dave and Alexandra Hauptli, Las Terrazas Resort, Caribeña Enterprises/Coral Cable Vision, Victoria House, John Kennedy/ATM Belize and Caribbean Creations. Any child interested in joining the program should have their parents call PC Choc at 607-9033.